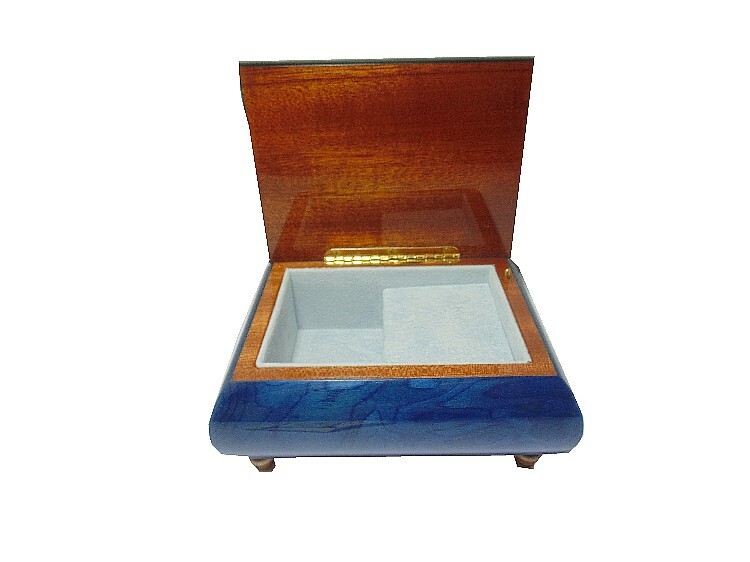 This fine wooden musical jewellery box is hand made, finished in a blue veneers, and coated in a gloss lacquer. 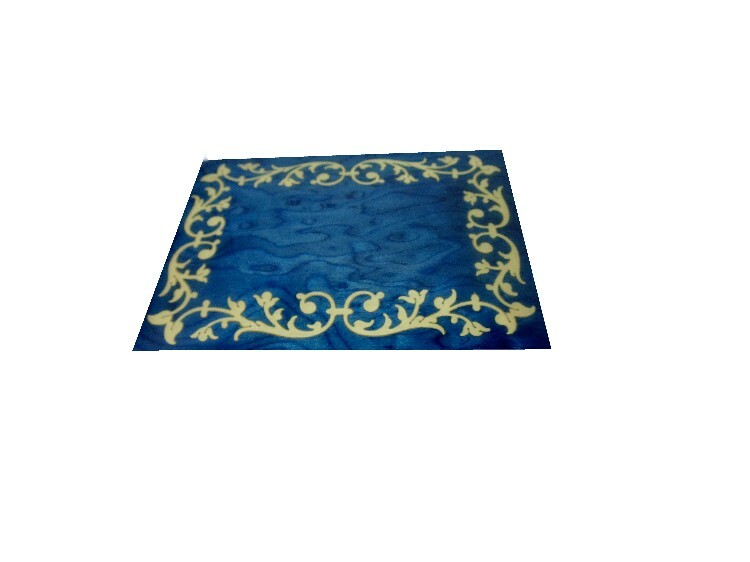 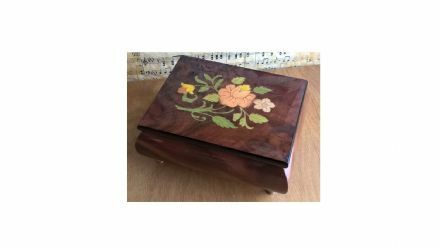 The marquetry set into the lid is of a beautiful and elegant scroll inlay design. 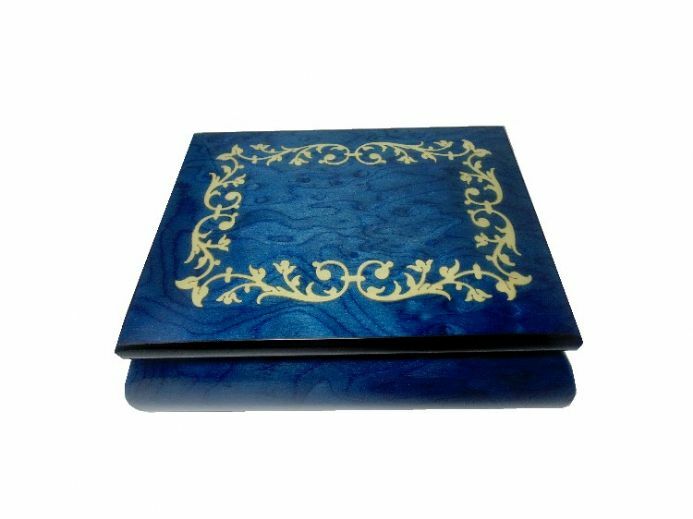 An ideal gift for a loved one. 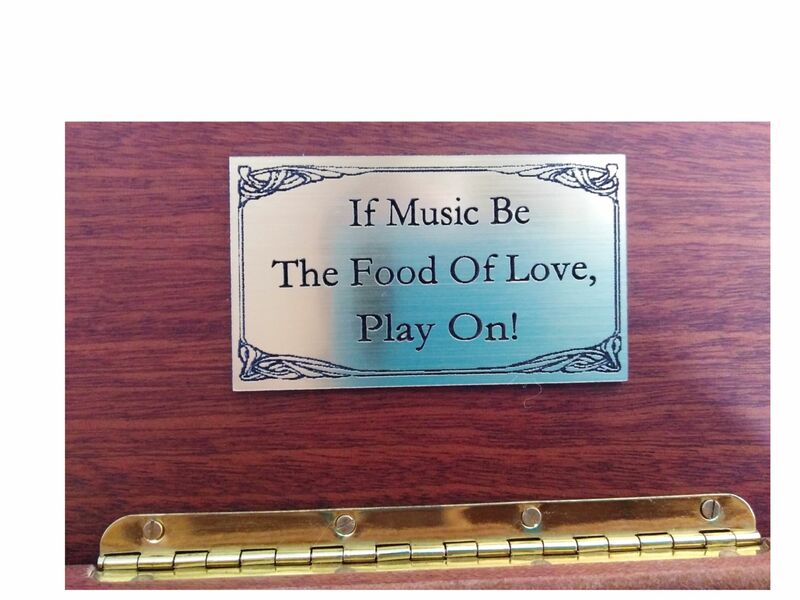 If the tune you require is not listed, please contact us and we can advise whether it is available..